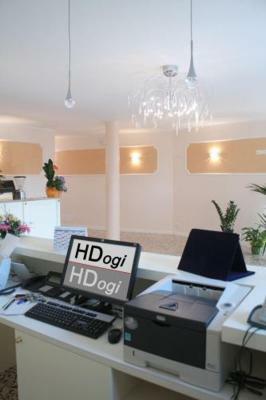 Lock in a great price for Hotel Ai Dogi – rated 9.4 by recent guests! 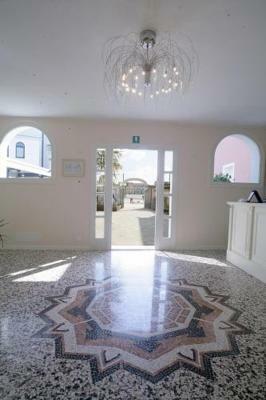 Very nice hotel in the middle of Palmanova. Clean, quiet, secure, excellent and friendly staff. Great breakfast. Off street parking. 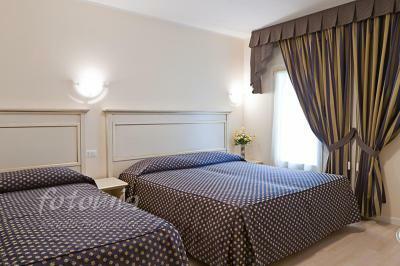 Really nice clean and comfortable rooms . Good AC . Bathroom clean and bright . Great showers . Manager is very helpful and attentive . This is our second time while biking the Alpe-Adria bike trail to stop here First time was s years ago and we will ride it again soon and will definitely stay here again . Excellent breakfast . Just around the corner from an excellent Italian Restaurant. The owners are extremely friendly and helpful. They really care about their guests. Good location, free parking opportunity, delicious breakfast. sasvim korektan doručak, komforan smeštaj, bez primedbi: perfectly good breakfast, comfortable accommodation, no comments. Hospitality of all people in hotel was on highest level. Cleanliness was spotless. Location perfect. Even though we booked bigger (and more expensive) room, lady from reception desk (I suppose the owner) encouraged us to take more appropriate and cheaper room. All compliments and we will come again, definitely. Location of hotel is actually just few meters from main square. They have their own parking. Breakfast is very good. There is limited choice of options for breakfast but whatever you take is good. also our small dog was very well accepted by hotel staff. Very comfortable bed. Perfect position to visit the city. The hotel has a very convenient parking area which allows you to park easily. The breakfast was great. We loved everything about the hotel and will be booking it again next year. We came as part of the festival for the 1615 battle and will be returning. Hotel Ai Dogi This rating is a reflection of how the property compares to the industry standard when it comes to price, facilities and services available. It's based on a self-evaluation by the property. Use this rating to help choose your stay! Hotel Ai Dogi is in the central square of Palmanova just 150 feet from the Cathedral. 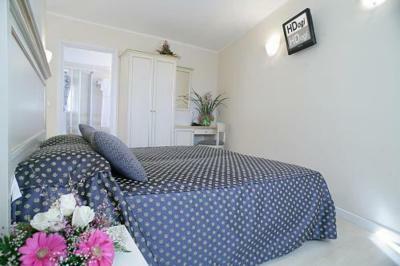 Rooms offer plasma-screen satellite TV and free Wi-Fi, and some have views of the square. 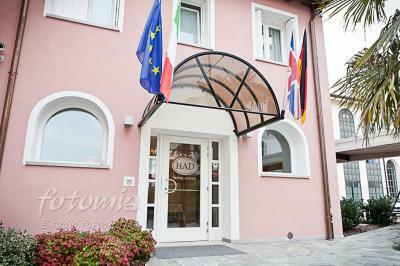 Ai Dogi Hotel offers free parking and is 1.9 mi from the Palmanova exit of the A4 Motorway. Trieste Airport and Udine are both just 20 minutes' drive away, and the property has free bicycles. Breakfast is buffet style. The restaurant serves classic Italian cuisine. 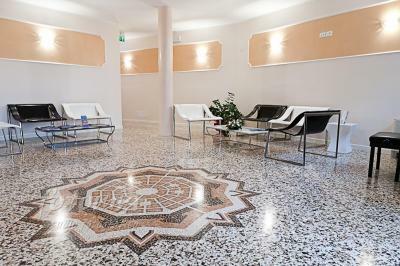 This property also has one of the top-rated locations in Palmanova! Guests are happier about it compared to other properties in the area. 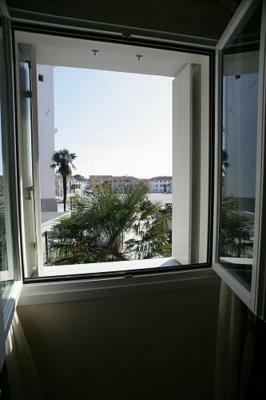 This property is also rated for the best value in Palmanova! Guests are getting more for their money when compared to other properties in this city. When would you like to stay at Hotel Ai Dogi? 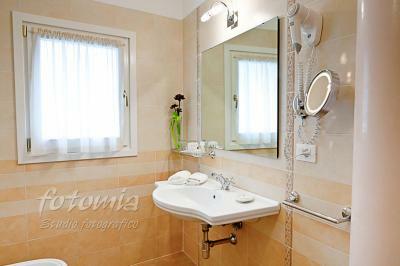 Room with attached bathroom with parquet floors. 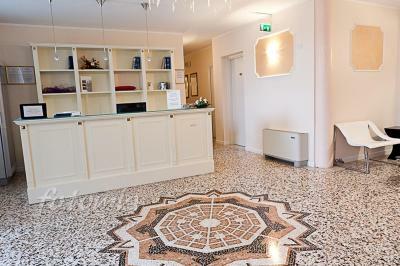 Offers an LCD TV, free Wi-Fi, and air conditioning. 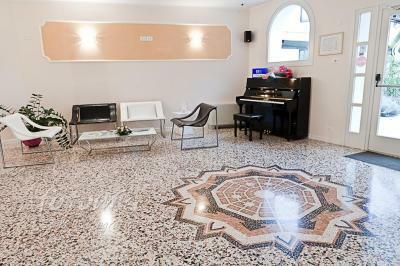 With free Wi-Fi, LCD TV, air conditioning, and parquet floors. 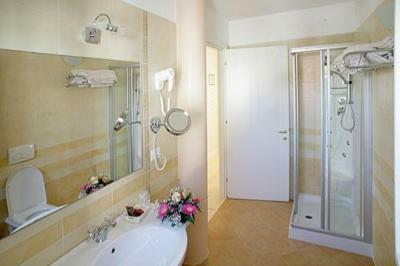 Features either a hydromassage shower or spa bath. House Rules Hotel Ai Dogi takes special requests – add in the next step! Hotel Ai Dogi accepts these cards and reserves the right to temporarily hold an amount prior to arrival. The hotel is in a restricted traffic area. 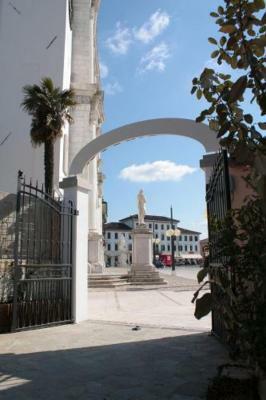 The parking area is accessible from Via Scamozzi 5, just behind the hotel. 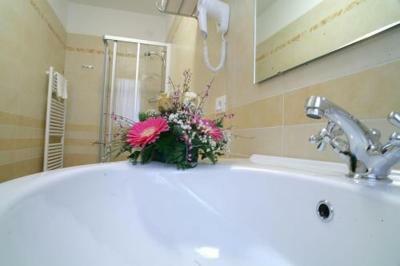 Excellent location, very helpful staff, fine breakfast, comfortable and perfectly clean room. Splendid! Excellent place, nice staff. Staff very proffesional and pleasent. Next to the church, woke up at 7a.m. 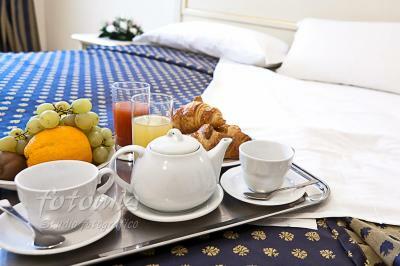 Kindly staff, delicious and wide selection of breakfast. Safety parking, good location. The only thing to put in this category is time limitation of WiFi. In 21st century I don't believe this is necessary. Maybe there can be more space for the breakfast room. Information about the town which we got from the reception desk. Hotel is a little difficult to find and the streets inside the city gates are confusing, with lots of one-way streets. Wifi was spotty and erratic, and re-entering the password was required each time a device awakened from sleep mode or was turned on. Nothing our stay was perfect.